I have an ‘art’ collection of computer generated collages on my mixed media page – the Rubbish Collection. It is an offshoot from another project. 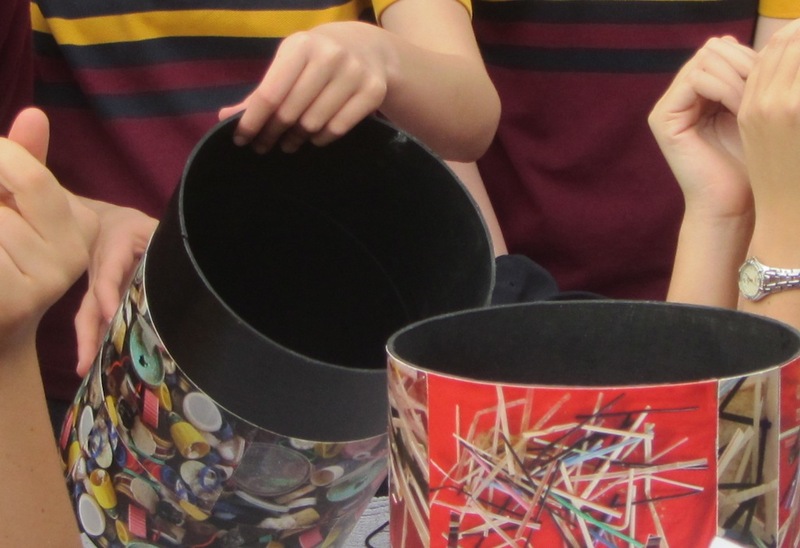 A year or so ago I made two decoupage waste paper bins to go in an exhibition on art and the environment. It is no coincidence that I made them the exact dimensions of my kitchen tidy, and that I choose cylinders made of recycled cardboard. 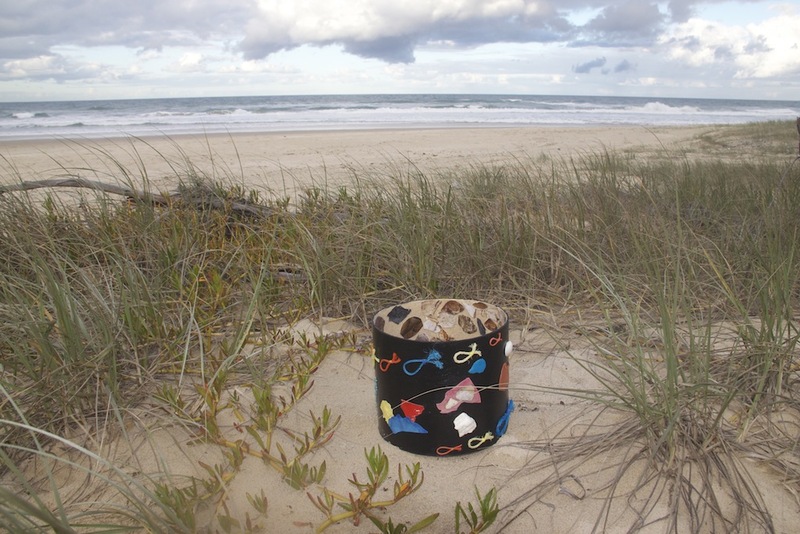 I decorated the remaining cylinder off cut with photos of polystyrene and bits of plastic from the beach. This morning a few of us from the Marcus Beach Bushcare Association assisted with an environmental excursion for a group of year nine students from a local College. 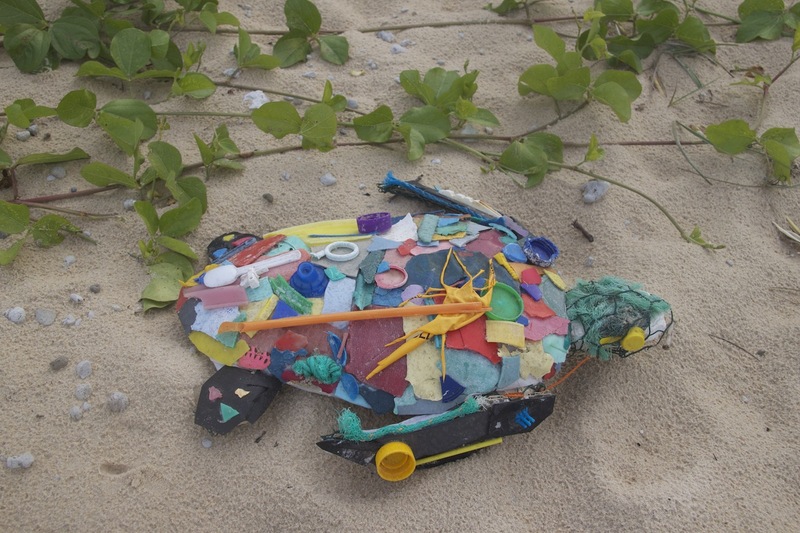 We took down the rubbish turtle made by Susan, from Turtlewatch. The kids thought it was really cool. I’d packed my rubbish bins thinking, I’ll bring them out if the kids look like they might be interested. After the reaction to the turtle, I figured they’d like the bins. It made my day watching the students’ reaction to the bins. The off cut cylinder was a real tactile experience for them; they checked out the rubbish on the outside, then felt the rough sand on the inside, and were intrigued by the photos of foam that looks like pebbles. What’s more they did a fantastic job of cleaning up the beach and pulling weeds. What a great morning.